Allana Da Graca is a Part-Time Lecturer for the College of Professional Studies at Northeastern University. She teaches students how to Leverage Digital Technology with innovative strategies and techniques that help students become informed decision-makers in in the digital realm. As the founder of Turning On the Lights Global Institute, Inc., Dr. Da Graca creates digital courses to help individuals reach their personal and professional goals. 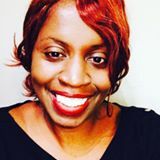 She has a Master's degree in New Media from Emerson College and an Doctorate from Capella University. Dr. Da Graca has taught graduate learners at Walden University and Lesley University to name a few. Dr. Da Graca is the recipient of the Robert C. Ford Fellowship (2007-2009), Bunker Hill Community College MLK Leadership Award, Chahara Foundation Grant, Talented Minority Scholarship, Massachusetts Governors Alliance Task Force Recognition (Youth Leadership), Unifacs Brazil Business Week Appreciation, and more.